There is one kind of far-fetched way residents of the Denver metro area could step up for less than the cost of one latte. KUSA — When the Denver Broncos take the field next season to start their journey to Super Bowl LIII in Atlanta, they may play in a stadium with no name. Last week, former Denver Mayor Wellington Webb had an idea for people with deep pockets to pony up the cash for the name Mile High Stadium. He also targeted businesses and the marijuana industry to chip in to make it happen. But there is one kind of far-fetched way residents of the Denver metro area could step up for less than the cost of one latte. 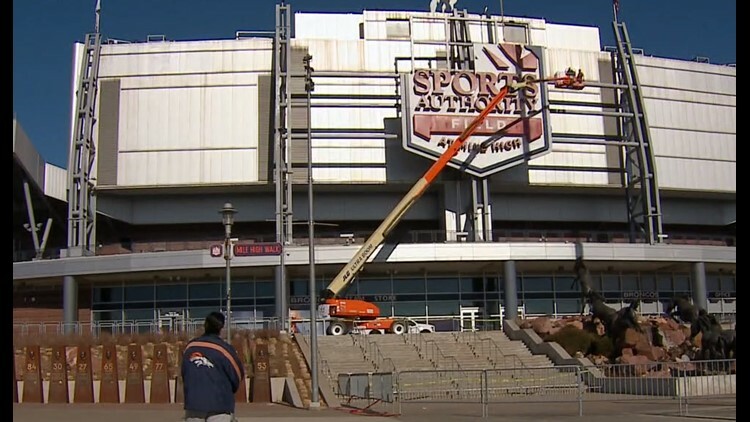 Sports Authority Field at Mile High, previously known as Invesco Field at Mile High, and commonly known as Mile High or Mile High Stadium, is going through a bit of an identity crisis. Sports Authority as a company shuttered in 2016, but the venue that plays host to the Denver Broncos and the Denver Outlaws bore its name until quite recently. Now, the question is: Who will step up and take that sponsorship? Naming rights money helped cover some of the $30 million to replace the jumbotrons and electronics in the stadium. That money is also needed to constantly replace concrete on the concourse, and a dip in the parking lot that causes flooding you don't know about until it happens. Naming rights money will also be needed to replace 27 HVAC systems -- they have a lifespan of 15 years and the stadium is turning 17. At $150,000 each, that's $4 million right there. 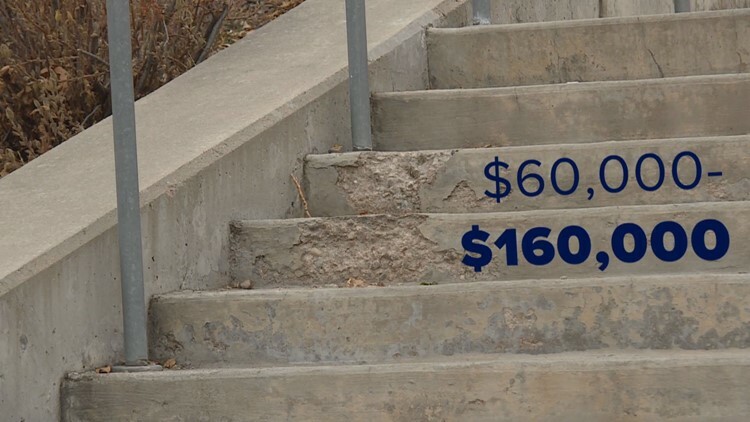 Fixing the cracked concrete on the stairs outside the stadium on the north side could cost anywhere between $60,00 and $160,000. Three expansion joints need repair, which are kind of important because they connect sections of the stadium together. That's $105,000 each. Eventually, every seat will need to be replaced. Today's estimate rings in around $17 million over the next five years. Also, 200 heat pumps, more than 500 electric heaters, 15 escalators and 13 elevators need to be replaced. So, that's gotta add up to a pretty penny. But before you start a GoFundMe page to pay for the name "Mile High Stadium", consider the Broncos' estimate they need $500 million to keep this stadium updated over the next 30 years (Before you say it, the pot tax can't help us here. It's for marijuana enforcement and school construction). Starting in 1991, metro area taxpayers paid a pretty (fraction of a) penny to build what would become Coors Field. 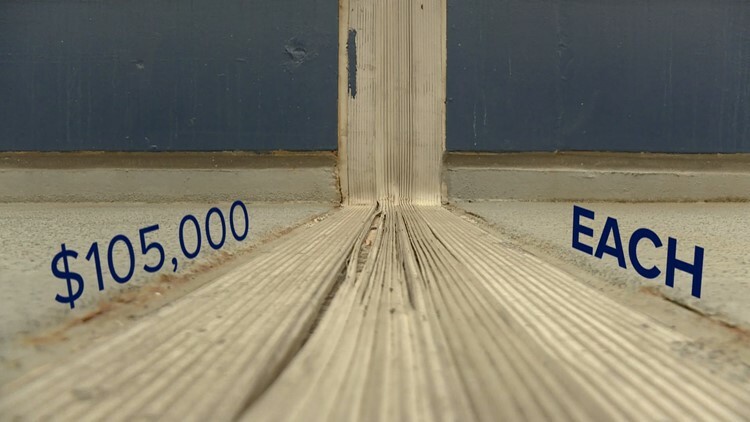 It was kept in place to its 20-year expiration to pay for new Mile High. To cover the $289 million of the $400 million price tag, voters -- at the time -- in six metro area counties paid one tenth of a penny on every dollar. Those counties in the taxing district were Adams, Arapahoe, Boulder, Denver, Douglas and Jefferson (Broomfield became a county in 2001 and is part of it). That tax went away in 2012. But what if those counties voted to bring it back? $500 million over 30 years is $16.6 million, but we can cut that in half because as of today, the money from naming rights is half of the revenue the stadium makes. The Broncos' lease and concerts and events (like the Taylor Swift show coming up on May 25) make up the rest and also help pay for upgrades. So how do we get $8.3 million a year? We wouldn't need that same tenth of a penny tax; we'd only need one-tenth of one-tenth of a penny, or about $3.30 per adult in those seven counties (there's about 2.5 million adults, according to the Colorado Demography Office) per year. If it was on the ballot -- and it's not right now -- voters would just need to decide if they have an appetite for that tax. To get that ball rolling, enough signatures would have to be garnered from the public to put it on the ballot or the legislature would need to agree on a bill to put this back on the ballot. But before you go out and get your canvassing on, 9NEWS asked the Broncos if they'd also have an appetite for the public kickstarting the Mile High name and we got a very PR response that essentially says "no thanks." "We are 100 percent focused on securing a long-term corporate naming rights holder, and we continue to have productive conversation with perspective partners."